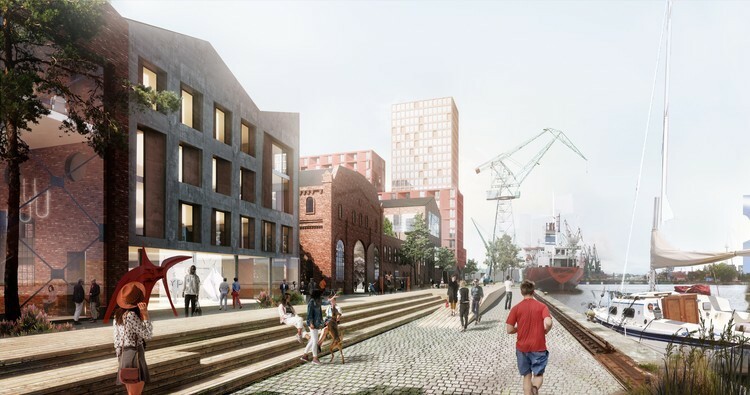 A new chapter for Revive, Alides and the Imperial Shipyard, our project in Gdansk! At the MIPIM event in Cannes the contract was signed with the architects of Henning Larsen. This practice is the the winner of the masterplan competition and will take the lead in the further development of this ambitious project. The transformation of the legendary Imperial Shipyard into a vibrant urban neighborhood, where past and future come together, enters into the next phase. Revive and Alides are pleased to announce that Henning Larsen from Copenhagen has been selected as the winner of the international master planning competition for the Imperial Shipyard master plan, announced in May 2017. Second and third price went to MVRDV (Netherlands) and Studio Paola Vigano (Italy), respectively. Henning Larsen is an architectural practice specializing in sustainable urban developments with a strong focus on generous public realms and attractive livable communities.The agreement for the development of the master plan has been signed by the investor and Henning Larsen on March 15th, at the leading real estate fair MIPIM in Cannes. Henning Larsen’s design, in cooperation with BBGK Architects from Warsaw and A2P2 Architects from Gdansk, convinced the Jury with a very careful and detailed approach both on the level of individual buildings, public spaces and other historic elements. In the Jury’s opinion such a development approach will emphasize the unique history of this place, supplementing it with new spatial and architectural quality. The winning project was also recommended by the Quality Committee, which was the advisory body to the Jury. It included experienced urban planners, architects, a community organization and market experts.“It was not an easy decision, as the final designs were at a very high level. Each of them represented a slightly different design approach and it was possible to identify various positives within each of the proposals. In this case our recommendation was given to the one which offered a more vibrant and diverse urban environment”, says prof. Piotr Lorens, Chairman of the Quality Committee. The proposed mixed use development plan gives the real opportunity to make the Imperial Shipyard an integral part of the city and create among others around 3500 residential units in combination with workplaces, retail, hospitality, culture and leisure. “The different building typologies in combination with a well-balanced functional mix enrich the urban experience, while improving the marketability”, says Maximilian Mendel from REAS, one of the Quality Committee Members. 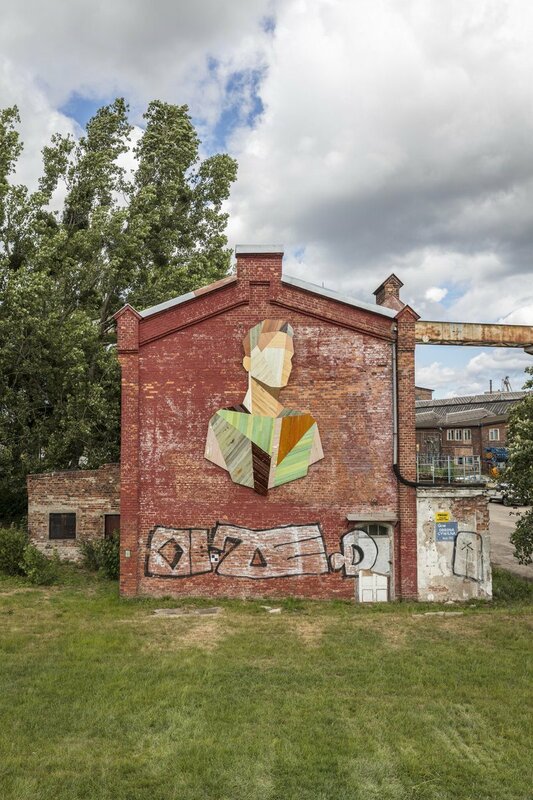 Thorough site and building analyses have led to a preservation strategy that builds on the existing qualities and proposes new functions that are appropriate and add value for the area as a whole, like a food market and possibly a contemporary art museum. The waterfront promenade in combination with three characteristic public places will turn the Imperial Shipyard into an inclusive destination. “We appreciate the user perspective Henning Larsen takes, as it optimizes the whole concept for views towards the river, improves the micro-climate and proposes a network of flexibly adapting to the character of the area public places”, says Paweł Mrozek from FRAG, one of the Quality Committee Members. “The Conceptual Master Plan embodies our vision for the revitalization of the Imperial Shipyard. We are looking forward to the coming months in which ours plans will be refined in close cooperation with the conservation authorities.” adds Gerard Schuurman, Project Director. 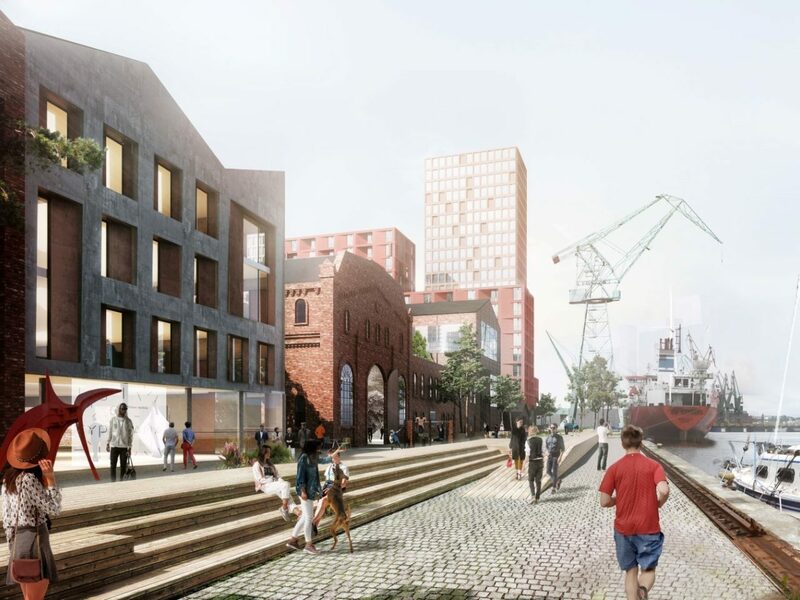 “It was important for us to preserve the unique historic qualities of the Imperial Shipyard while creating a new strong connection to Gdansk city center that also maximizes social inclusion. To us urban regeneration is about creating long term value for an area; environmentally, socially and financially. 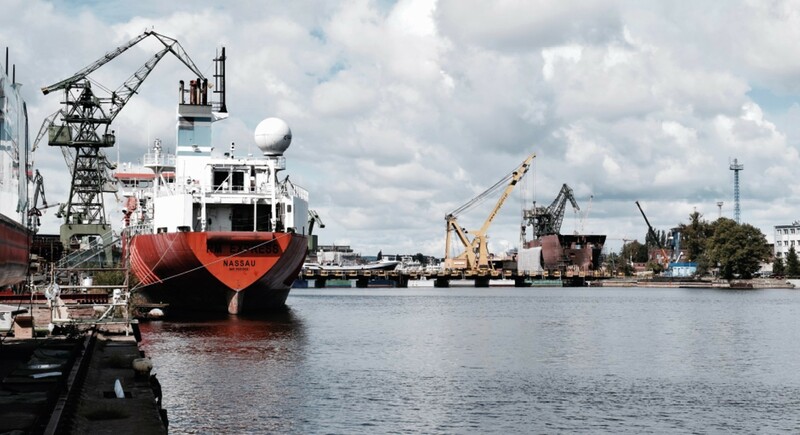 We look forward to taking the Imperial Shipyard into a new era.” says Jacob Kurek, partner at Henning Larsen. Meer info over het architectenbureau Henning Larsen vind je op hun website. Stay tuned ! Interested in this new project? The project is still in a very early stage of development. If you have any specific questions or interest, don't hesitate to contact us.